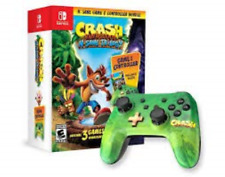 New ListingCrash Bandicoot: N. Sane Trilogy (Nintendo Switch, 2018) SHIPS IN 24 HOURS! 31 product ratings - Crash Bandicoot: N. Sane Trilogy (Nintendo Switch, 2018) SHIPS IN 24 HOURS! New Listing6in1 Big LOT Games Fifa Crash Bandicoot Fortnite ps4/No Cd/100% Guarantee!! Trending at $21.66Trending price is based on prices over last 90 days. Trending at $18.97Trending price is based on prices over last 90 days. Nintendo Gameboy Advance Crash Bandicoot Huge Adventure GBA Complete! Nice! 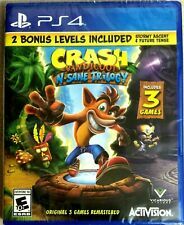 CRASH BANDICOOT N SANE TRILOGY PS4 BRAND NEW AND SEALED FREE SHIPPING! 199 product ratings - CRASH BANDICOOT N SANE TRILOGY PS4 BRAND NEW AND SEALED FREE SHIPPING! Crash Bandicoot The Wrath Of Cortex Sony PlayStation 2 PS2 Complete! Excellent! Trending at $10.30Trending price is based on prices over last 90 days.